There is a $5.00 charge for the review and submission service, once we receive your submission VIA Drop Track we will locate your submission form and review your music, please use the Drop Track form and site they help support our mission. Without your help we would not exist, thanks for keeping our radio station on the air. We may contact you with other Free promotions for your music such as artist of the month, free video listing service, request for more of your music, and free photo or album placement. We do not charge for conversion of your music to fit the radio playlist, the promotion of your music on our radio, website, Facebook, Tweeter accounts, the placement of your photo on our site, plus free event promotions on our site. Thanks for supporting our mission to give Independent Musicians a place to shine. WE are no longer accepting e-mail submissions you must fill out our new submission form from Music Submit or DropTrack. 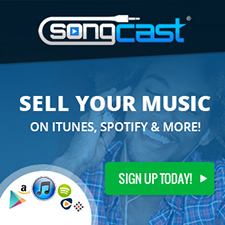 In order to offer all of the free promotions here at Indie Radio Music, exclusive radio play, show submissions, and other promotions, we have to ask our independent artists to forfeit their SoundExchange royalties for use of our site. You retain all the rights to your music we just help promote your music. We simply can’t afford to operate this business with those fees, so by sending your music to us, you agree to these terms of no royalties for use of our promotional services on this site. Using our digital service we help you save money by not putting together a promo press packet for mailing, burning of your music CD for a hard copy mailing, printing of your promo images and postage. We may accept all or some of your music the submission is up to our program manager. Basic Promos are free, radio play, photo submission, and placement if accepted is all Free. We have to hear your music to see if it fits our broadcasting plan when we review the music submissions it is not a guarantee the selections will receive playtime. We do accept all genres of music; the final selections are up to our program manager, we average about 80% acceptance of new music for radio play. Album art or photo for promotional purposes. By sending your MP3’s Album art, Bio, and photo’s you are giving us permission to broadcast, exhibit, display, your CD’s, MP3’s, art, photo’s in part or whole for promotional purposes. If your music is selected for playtime we will contact you and let you know. All of the songs on our station are played randomly and we will not be able to tell you when the selection is played. Make sure any music sent our way is the clean radio version. No Email submissions are accepted.